A cyber-security treaty is set to be signed by Russia and China next month, leaving Western cyber experts concerned about this and anxious whether this is a good think and promising development or a threat. 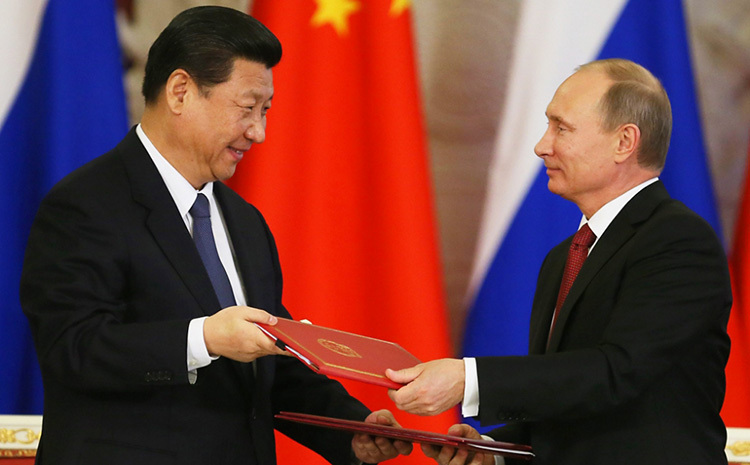 Newspaper Kommersant and RT (Russia Today) report that sources close to the Kremlin claim the “two-sided agreement on cooperation in the field of information security” is planned to be signed by Russian premier Vladimir Putin during his state visit to china on November 10. The treaty will let China and Russia to develop join information security projects and conduct cyber-security operations. Kommersant reports that draft pact also declare the two countries prevent the use of technology “to meddle in the internal affairs of independent states, to undermine national sovereignty as well as political, economic and social stability and public order”. Expectations are set for Chinese premier Xi Jinping and Russia premier Vladimir Putin during the visit to deliver a joint address on cyber-security. The news comes while China and the US are at the lowest point in cyber security relations, with the West progressively complaining and showing discontent about recent cyber-attacks by Chinese state on Western target. After this FBI put five Chinese army officers on their “Most Wanted” list in May for suspected cyber-espionage Whether treaty is a positive step or a new threat to the West, industry experts are still unsure. David Lacey, author and information security researcher have told SCMagazineUK.com: “Certainly if two very sophisticated countries got together to attack then it’d be very dangerous. If they got together to help defend each other, then that’s a different game altogether, that would be very sensible. It’s good to see people talking together but one is always suspicious about public statements. Why do they need to publicize it – is it a threat? Is it reassurance? Public pronouncements like this are probably for presentation purposes. It’s very hard to know how much of this is real,” Lacey questioned the declaration and its public nature. He continued by adding: “It just illustrates the fact that anything can happen in this space. Certainly with this agreement there will be a new landscape emerging.” However Brian Honan, blogger and cyber-security consultant, saw more positive possibilities. “I think it’s a quite interesting and quite welcome move as well. The more cooperation we see between countries in developing and improving cyber-security the better. Even though traditionally in the West, Russia and China may not be viewed in the most favorable light, they themselves have precious assets they want to protect from cyber-attack,” he said to SCMagazineUK.com. Simultaneously John Walker felt that the treaty spells danger. “Call me a sceptic, but if I had a Russian or Chinese salesman come to my door offering this policy, would I buy it?” John Walker told SCMagazineUK.com via email. In the same email he continued: “This suggested relationship does not do much to make me feel more secure – on the contrary, when one sees two of the most acknowledged and hostile players in the game of cyber-aggression joining forces, it does very little to eradicate concerns, as the power of two is much greater of course than ‘one’. “Given we are dealing here with countries who have been masters in the art of disinformation do I really believe this – or is it yet another tool in the armory of the cyber-counter-intelligence?” In order to expand existing joint activity in combating cyber-crime, European law enforcement agency Europol and Kaspersky lab has made a more local co-operation pact in the West. While pacts are made around the world in order to fight cyber-crime to protect governments and big businesses’ models as well as corporations, how can you, a typical user, protect yourself from being spied on which is reality? Very simple and effective first step should be considering a VPN. NordVPN is probably one of the best if not best VPN providers out there with a rich feature set to combat spying and tracking that even your ISP is capable of and is doing.